September and October are perfect months to enjoy the bouquet of visions and experiences the Finger Lakes offers! The Marvelous Wonderettes at Merry-go-round Playhouse – Wed. September 14 – Sat. October 1. See schedule for times. $37-$39. Auburn. Galactic Cowboy Orchestra at Smith Opera House – Fri. September 16. General Admission $15, Seniors and Colleges Students $10, Students Grades 12 and under Free. Geneva. Roseanne Cash at Harro East Ballroom – Fri. September 16 @ 8 p.m. $45. Rochester. Historic Maplewood Home Tour – Sat. September 17 @ 11 a.m. – 4 p.m. Day of event $12, Advance $10 and $8 for Seniors. Rochester. Leaves & Lobsters on the Lawn at Glenora Wine Cellars – Sat. September 17 & Sun. September 18 @ 1 – 5 p.m. (service until 4 p.m., music until 5 p.m.) $52 plus tax. Dundee. An Evening with Garrison Keillor – Sun. September 18 @ 8 p.m. $39.50 – $69.50. Ithaca. Purple Foot Grape Stomping Festival at Casa Larga – Sun. September 18 @ 10 a.m. – 5 p.m. $10 pre-sale, $12 at the door, under 21 Free. Fairport. 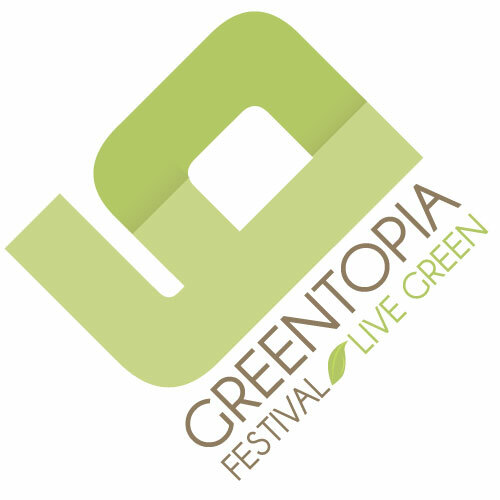 Greentopia Festival – Sat. September 17 – Sun. September 18. See Schedule for music, culinary events, speakers, etc. Free. Rochester. (See the Travel Maven’s post “Greentopia Festival: Eco-movement Takes Root at Rochester’s High Falls – September 17-18, 2011” or check out my “video postcard” for the festival of a longer piece I’m working on. Prohibition Party at the George Eastman House – Sat. September 17 @ 6 p.m. $250. Rochester. 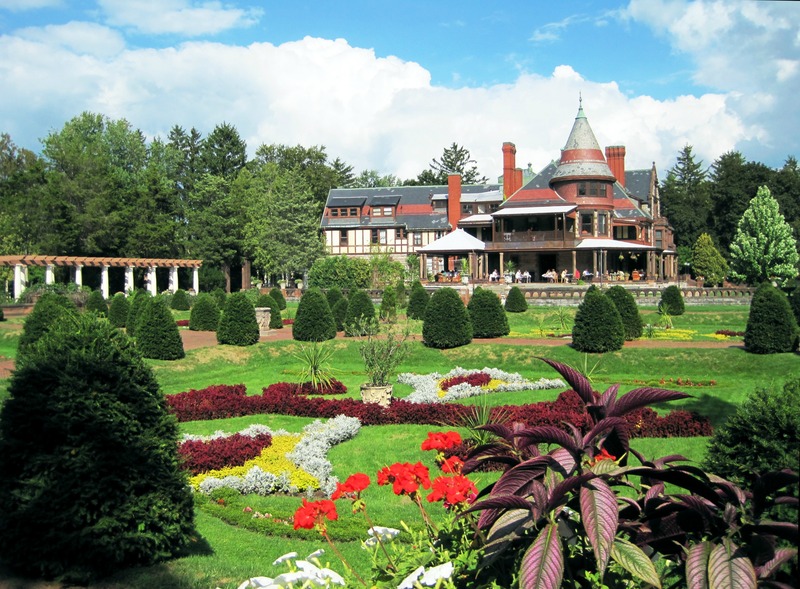 Harvest Progressive Dinner at Sonnenberg Gardens – Sun. September 18 @ 5 p.m. or 6:30 p.m. Members $50, Non-members $55. (Advance reservations and payment required). Canandaigua. German Festival at Lucas Vineyards – Sun. September 18 @ 12:30 – 4:30. $5. Children 12 and under Free. Interlaken. TheatreRocs Annual Showcase at Geva Theatre Center – Mon. September 19 @ 6:30 p.m. $25. Rochester. Finger Lakes Trails & Greenways Conference at Cornell – Fri. September 23 (afternoon workshops and reception @ 5:30 p.m. – 7:30 p.m.) & Sun. September 24 @ 8:45 a.m. – 4:45 p.m. See schedule for events. $50 for conference, additional fees for Fri. Workshops. Ithaca. Crystal City Jazz & Harvest Festival – Fri. September 23 @ 5:30 – 9 p.m. and Sat. September 24 @ 11 a.m. – 5 p.m. Free. Corning. Fall Skyrides start at Bristol Mountain – Sat. September 24. Adults (13-64) $9, Children 3 – 12, Groups of 20 or more and Seniors $6, Children under 3 free. Canandaigua. Living History Event: Seneca Encounter with LaSalle at Ganondagan – Sat. September 24 @ 10 a.m. – 4 p.m. Adults $5, Members, Seniors and Students age 6 – 18 $3, Children 5 and under $3. Victor. Naples Grape Festival – Sat. September 24 & Sun. September 25 @ 10 a.m. – 5 p.m. Free. Naples. Diana Ross at the Auditorium Theater – Wed. September 28 @ 8 p.m. $ 59.50 – $119.50. Rochester. Jackson Browne Solo Accoustic at the Auditorium Theater – Fri. September 30 @ 8 p.m. $44 – $125. Rochester. Naples Open Studio Tour – Sat. October 1 & Sun. October 2 @ 10 a.m. – 5 p.m. Free. Honeoye, Naples, Middlesex, Canandaigua. 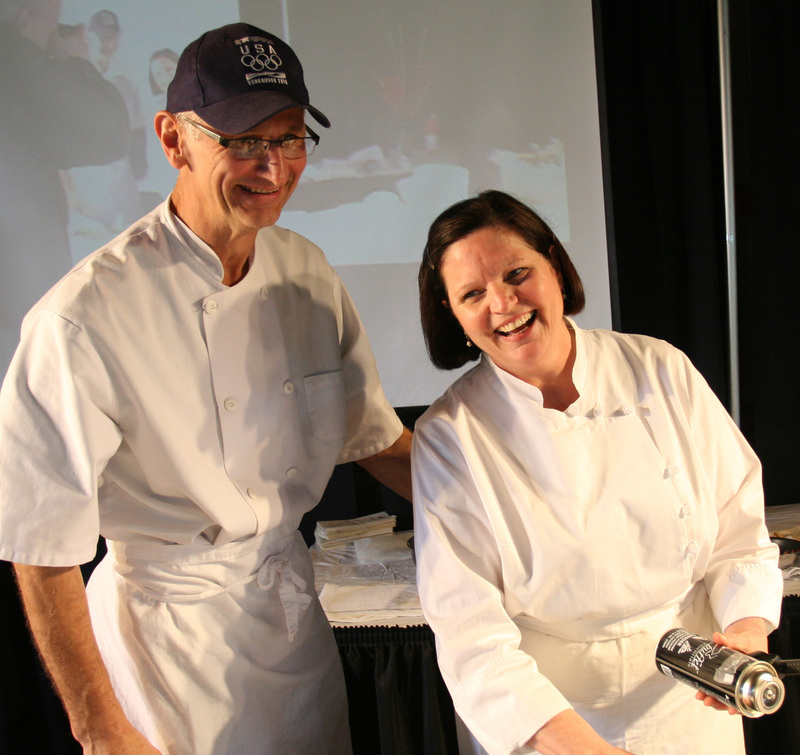 Culinary Compass Tours a Taste of Cayuga Lake East – Sun. October 2 @ 9 a.m. – 5 p.m. $75. Meet in Victor. Norman Rockwell, Behind the Camera at the George Eastman House – Through Sept. 18. Adults $15, Seniors (65+) $13, Students w/ ID $8, Children 5-12 $3, Children 4 & under and Members Free. Rochester. Underneath It All: Underwear Through the Ages at The History Center of Tompkins County – Through September 30. Free. Ithaca. On Golden Pond at Geva Theatre Center – Through Sat. October 2. See Schedule for performance times. $25-$53. Rochester. The Lady with All the Answers at the JCC of Greater Rochester – Sat. September 10 – Sun. September 25. JCC Member $24, Non-members $26, Students $18. Rochester. Glass Harvest at Corning Museum of Glass – Through November 30. Adults $14, 55 Plus $11.90, Students with ID $12.60, Military with ID $11.90, AAA Members with Card $11.90, Local Residents with ID $6, Kids & Teens (19 & under) and Museum Members Free. Corning. 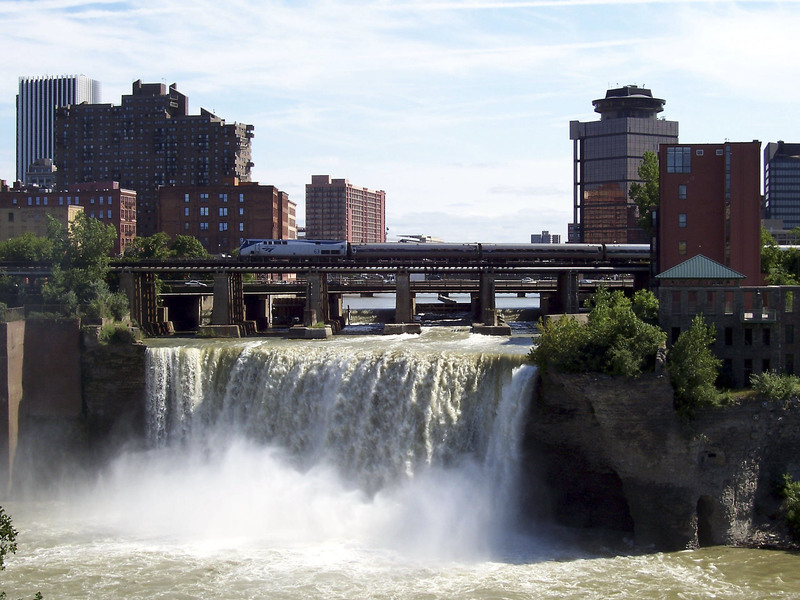 The High Falls district is a wonderful historic area of downtown Rochester that has long struggled for an identity. During the 17th and 18th Century, it was the cradle of Rochester’s industry as the mighty Genesee River was funneled off into Brown’s Race, powering gristmills that led to Rochester being christened the “Flour City.” Soon, other businesses cropped up around the gristmills, such as one of the world’s largest button factories, the Eastman Kodak Company and the Genesee Brewing Company. Click here for the history and a walking tour of the High Falls and Historic Brown’s Race District. In recent years, the district no longer had the same high traffic it once did, and excluding a recent attempt to turn it into an entertainment district, it has lain fallow, waiting for the right opportunity to flourish. Recent endeavors to renovate buildings there and turn them into mixed-use complexes offer encouragement that this will be one of Rochester’s next growth districts. One visionary company that has seen the possibilities of this district is the Philipson Group, a marketing, design and event planning group that is the driving force behind the upcoming Greentopia Festival taking place on September 17-18 in the High Falls District. This will be an event unlike any other you’ve attended because of its focus on ecology, sustainability and environmental best practices. This event will also become a “launchpad” for a new initiative to transform the Pont de Rennes Bridge into a suspended arboretum and park. “GardenAerial,” its prospective name, will be designed to encourage foot and bike traffic, showcasing the district’s history and its beautiful 96′ urban waterfall. It is exciting how many organizations have gotten behind and are partnering on this initiative, demonstrating this region’s commitment to the environment. There’ll be an exciting lineup of speakers both days. Saturday will feature an array of Eco Quick-Talks, and on Sunday, keynoters Ed Begley Jr., Actor and Activist (live via Skype), Bill McKibben, Author, Educator and Environmentalist, Paul Watson, Animal Rights Activist and Conservationist (via skype), Patrick Cullina, V.P. of Horticulture and Park Operations (via skype) and Michael Cooper, Civil Engineer at Bergmann Associates will share insights. During the afternoon on Sunday, a variety of enviro-mentor panels gather speakers discussing green topics and issues. All speakers are encouraged to use a “TedTalks” style of fast-paced engaging presentation and the topics cover everything from waste reduction, urban living, health and wellness and alternative energy to green homes and more. Attendees are also invited to “Bike the Bridges” on Saturday, September 17 from 9 a.m. to 10:30 a.m. for a scenic tour of the area (be sure to see brochure and to sign waiver), and there’ll be plenty of music (more than a dozen groups will be performing), food (including culinary demonstrations by local chefs on the use of regional products) , kids’ activities, exhibitions and vending of consumer-oriented green products and technologies, and a showcase of alternative fuel low-emissions vehicles. This event is free and open to the public and takes place in the High Falls Historic Browns Race District of Rochester. I hope you’re as excited about this event as I am and I look forward to seeing you there. P.S. If you’re there on Sunday, September 18, I’ll be participating on an enviro-mentor panel from 4 to 5 p.m. in the main room at the Center at High Falls. The topic I’ll be covering will be “Sustainable Finger Lakes: The Greening of a Tourism Treasure.” Check out my “video postcard” that will be part of the presentation and that offers a snapshot of a longer piece I’m working on that will include interviews and more tourism-oriented businesses. Photo and text copyright 2011©Carol White Llewellyn. Last year, when Carol Fingar of the Seneca County Chamber of Commerce set out to invent a signature event that would showcase the Finger Lakes region’s restaurants and wineries, Finger Lakes Cork & Fork was born. 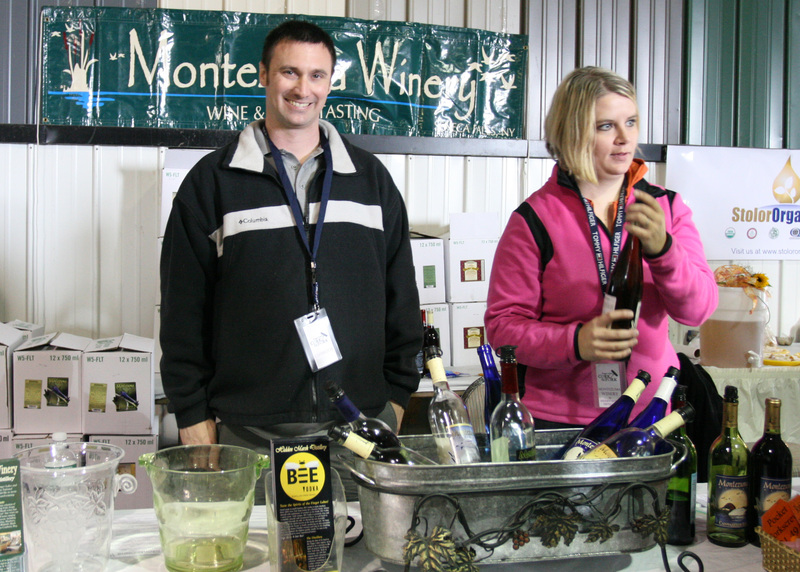 This year’s foodie extravaganza will bring together more than 60 of the region’s agricultural, viticultural and culinary stars in an interactive “field to feast” event that offers demos by wineries and chefs, tastings and an opportunity to purchase everything needed for your favorite dishes, including accompanying wine. Finger Lakes Cork & Fork begins on Friday, September 16 from 6:30-9:30 p.m. with the “Partners and Pairings” VIP event, a fundraiser in memory of the beloved Red Newt Cellars Winery & Bistro Chef and Co-owner, Debra Whiting, who recently passed away in a tragic auto accident. The Partners and Pairings evening will feature regional chefs and winemakers offering 15 pairings of Finger Lakes wines or beers and Tapas prepared with a bounty of local produce. 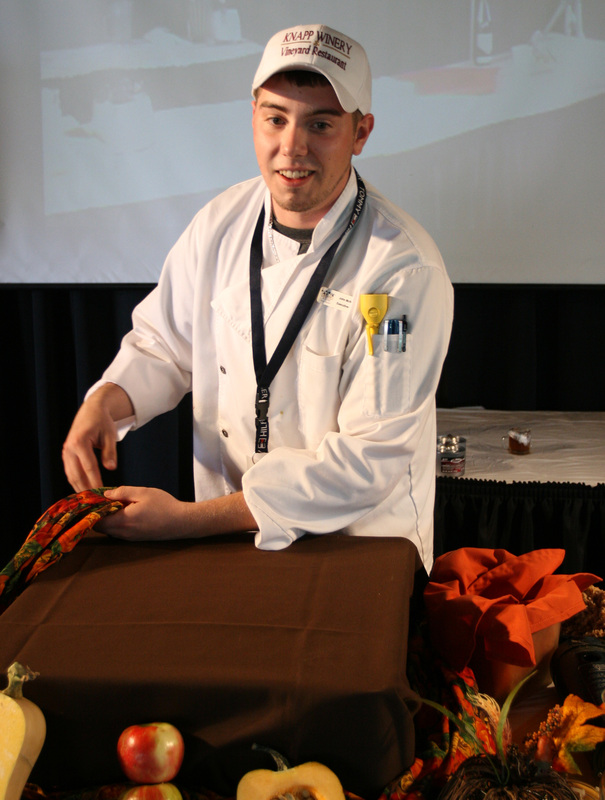 There will also be a lively assortment of regional cheeses, dips, veggies and salsas at tasting stations. Guests can mingle to the sounds of live jazz by the Cool Club of Hector, they will be able to purchase wine by the bottle and they can also participate in a silent auction sponsored by and benefiting the Finger Lakes Culinary Bounty. Tickets to this event are $50 (advance purchase only) and are limited to 250 people so guests will enjoy dedicated time with the winemakers and chefs. Each attendee will receive a commemorative re-usable shopping bag, glass and plate. A portion of the proceeds will be donated to the Food Bank of the Southern Tier in honor of Debra Whiting. Attendees are also invited to bring a donation of non-perishable goods to be donated to the same Food Bank, which was one of Ms. Whiting’s interests. Donor’s names will be entered into a drawing for an “Epicurean Experience Giveaway” that includes overnight accommodations, Calphalon Cookware, an assortment of Finger Lakes delicacies and a surprise from Mackenzie Childs. Tickets for the Main Event on Saturday, September 17 are $25 in advance or $30 at the door. The first 1250 attendees will receive a commemorative re-usable shopping bag, glass and plate. Guests who bring non-perishable food items that will be donated to the non-profit organization, House of Concern and will have a chance to win the “Epicurean Experience Giveaway” described above. Both the Friday Partners and Pairing VIP Event and the Saturday Main Event will be held at the Rodman Lott & Son Farms located at 2973 State Route 414, Seneca Falls, NY. CLICK HERE to order tickets to either the Friday night Partners & Pairing VIP Event or to the Saturday Main Event. All photos courtesy of the Seneca County Chamber of Commerce and Finger Lakes Cork and Fork. In 2008, a pair of divers from the Rochester region, Jim Kennard and Dan Scoville, discovered the wreck of a British Warship, the HMS Ontario, lost in 1780 during the American Revolutionary War. This shipwreck is the oldest ever found in the Great Lakes region. 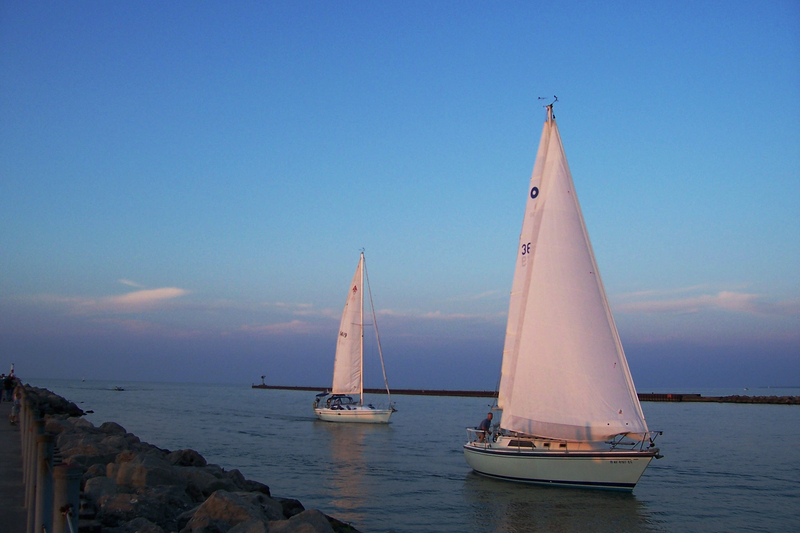 Both storms and wars have taken their toll on many ships traversing the Great Lakes and now many scuba divers find that the waters of Lake Ontario are a treasure trove of adventure. Over 200 shipwrecks are believed to be hidden under the murky waters of Lake Ontario. P.S. 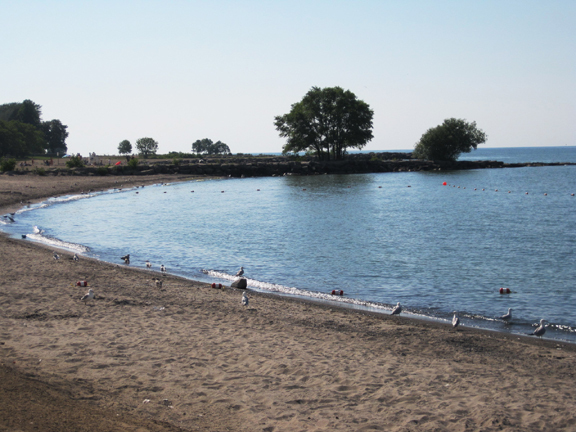 Lake Ontario is a Great Lake, and is not one of the Finger Lakes, but it borders the northern shores of the Finger Lakes region. My daughters were three at the time and I was returning to my home outside of New York City from a multi-day conference. My connecting flight had been cancelled and I’d been sitting in the airport for about five hours. It was 11:30 p.m. and I was number 7 on the waiting list for the last flight out on which they had room for only three more passengers. Many of my fellow passengers had given up in despair and headed for local hotels. They called a name for seat number 1 of 3 and someone stepped forward to claim it. They called a name for seat number 2 and, same thing. By now chances were looking grim for my getting home that night. Then they called another name. No response. They called it a second time. Again, no response. Amazingly, this happened five times. At last, they got to my name. I almost knelt down to kiss the gangplank as I boarded the plane! Needless to say, that was before the tremendous rise in cell phone apps. Now, there’s an app for everything, and travelers are one segment of the population to benefit from these handy tools. Today, I share a terrific post from IPhoneBegin.com titled 80 Different Travel Apps for Summer Vacation which gives the skinny on apps that do everything from monitoring departure times and translating foreign language signs using the phone’s camera, to taking a virtual treasure hunt and finding the best local happy hour. If you travel a lot, be sure to check out this list! If I’d had a couple of the apps on this list, I probably wouldn’t have been biting nails, wondering whether I’d get on the last flight out! 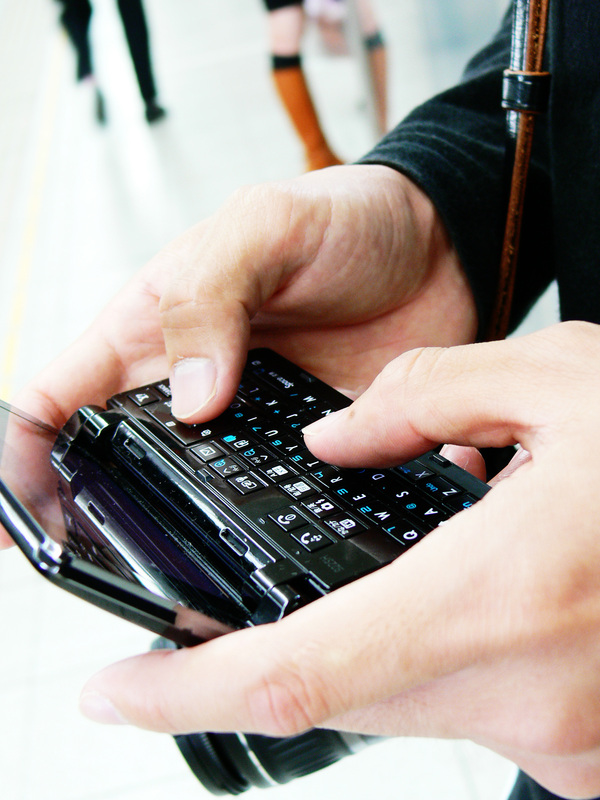 Got any travel stories you’d like to share in which a cell phone app might have or has rescued you? Hamlin Beach became a State Park in 1938. During WWII, it served as a Prisoner of War Camp for close to 340 soldiers. These POWs were hired by local businesses to help work the farms and local food processing plants that suffered as high numbers of citizens went off to enlist in the war. Once the war was over, the camp was closed. When you think about it that way, the two make the perfect pairing. 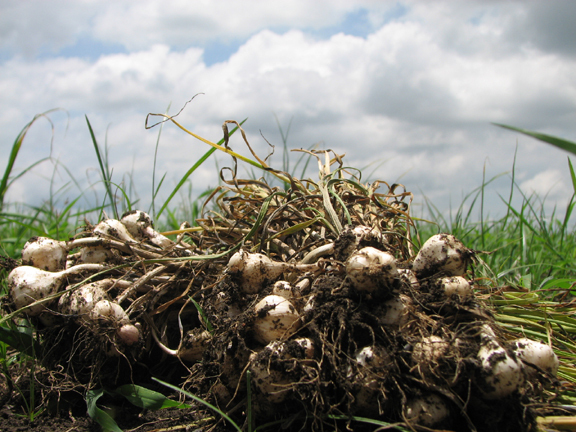 Scott went on to explain that most who cultivate the highly aromatic and flavor-intensive cool climate garlic here are artisans, growing it on small plots of up to an acre in size. Who knew this favored cooking condiment is an unsung spice of the Finger Lakes region? So what can attendees at this year’s Glorious Garlic Festival expect? Not only will they have an opportunity to meet a dozen specialized garlic purveyors and sample their savory food products, but they can also taste homemade ice cream, dipping and hot sauces, marinades, maple syrup, farmstead cheeses and locally-roasted coffee produced by carefully-selected exhibitors from the Finger Lakes region. In case you’re looking for new recipes on how to use this regional delicacy, garlic-inspired cooking demonstrations and lectures will certainly make your mouth water and encourage experimentation. In the Finger Lakes, a Festival has to have music, so the sounds of Dee Specker & The Lone Rangers and Geneva’s Castle Street Band will fire up the festivities on both days, as will the glass blowers from the Corning Museum of Glass who always put on an amazing show. If you’ll have children with you, there’ll be fun activities for the kids as well. And lest you think I’ve forgotten about the pairing of garlic and wine, Scott assures me that wine will be flowing in the Grand Tasting Tent where Fox Run’s Wine Club Members will be able to taste for free a variety of Fox Run’s hand-crafted, award-winning wines that non-members will pay $20 to sample. Evan Dawson, author of Summer in a Glass, is also scheduled to pop in for a visit. Fox Run’s 19th Annual Glorious Garlic Festival will take place at 670 State Route 14 in Penn Yan on August 6 and 7 from 11 a.m. to 5 p.m. each day. The festival is free to attend, but there is a fee for some of the activities. Go, and enjoy this glorious Finger Lakes Festival that celebrates the fruits of the land! Lone Rangers Video courtesy of FLrec and Youtube. You may also be interested in Visiting Corning NY – Corning Museum of Glass.